Ukrainian President Petro Poroshenko’s decision to appoint NATO’s former secretary-general as his personal adviser will probably backfire and lead to an escalation of the civil war in his country, US analysts told Sputnik. WASHINGTON (Sputnik) — Earlier in the day, Poroshenko announced he had appointed former NATO Secretary General Anders Fogh Rasmussen as his non-staff advisor, according to a decree posted on the presidential website. "The appointment of former NATO Secretary General Anders Fogh Rasmussen as an official adviser to the Ukrainian government will inflame the civil war and domestic turmoil in the country," University of Arizona History Professor David Gibbs said on Friday. One of the major issues surrounding political turmoil in Ukraine has been the issue of its relationship with the NATO, Gibbs pointed out. "NATO states were opponents of the outgoing president Viktor Yanukovych, who was ousted in 2014 under dubious circumstances, while they have been strong supporters of Poroshenko, the current president," Gibbs recalled. Therefore, Poroshenko’s decision to bring Rasmussen to Kiev was likely to rekindle old enmities and undermine the Minsk reconciliation process, Gibbs warned. The decision, which Poroshenko announced on his presidential website on Friday, "will give some credence to claims that NATO is destabilizing the region," Gibbs concluded. Poroshenko was making a bold attempt to try and closely tie disintegrating remains of the Ukrainian state to the Atlantic alliance, University of Illinois Professor of International Law Francis Boyle said on Friday. "This is an attempt by NATO and the rump-Ukraine to further integrate the rump-Ukraine into NATO on a de facto, but not de jure basis." 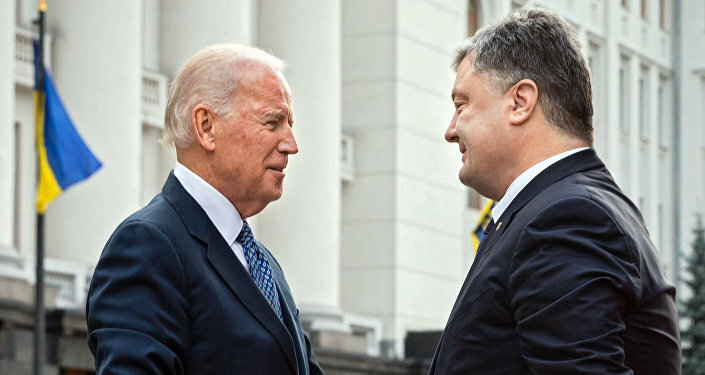 Poroshenko and the Obama administration hawks supporting him knew that there was too much criticism of the Kiev regime in Western Europe to allow them to directly bring it fully into NATO, but hoped to achieve the same end indirectly with Rasmussen’s help, Boyle stated. "Major European nations, especially France and Germany, are never going to let rump-Ukraine, or for that matter, rump-Georgia into NATO de jure. So the regime in Kiev and the United States are trying to make Rump-Ukraine a de facto member of NATO." Without the Article 5 guarantee of the 1949 Washington Treaty that automatically regards an attack on one NATO member nation as an attack on them all, Ukraine would not be able to enjoy full NATO protection, Boyle acknowledged. "However, if you have NATO and US military forces stationed in rump-Ukraine or rump-Georgia, then the tripwire to set off a war is there anyway. We are now seeing NATO military maneuvers in Georgia. 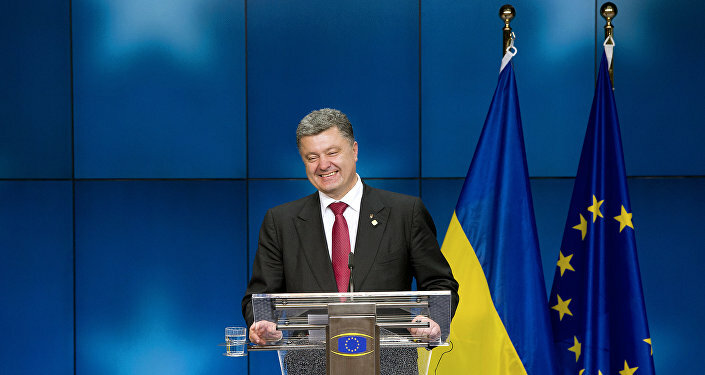 I suspect we will soon be seeing the same thing in rump-Ukraine." The Rasmussen appointment would therefore fail to give Poroshenko the international respectability he still lacked, Boyle predicted. "When you overthrow a democratically elected government in a coup, there are consequences." After the US-sponsored coup d’etat in Kiev in February 2014 the Ukrainian state disintegrated into three parts: rump-Ukraine, Crimea and Donetsk, Boyle concluded.